we can only continue with YOUR support. rest of our petitioning effort. together and donating what you can – $25, $50 or $500 – today. printed and mailed to your door. 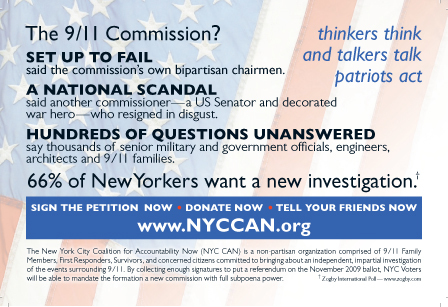 (Or download and print your own from pdf’s at 911truth.org’s Downloads page. 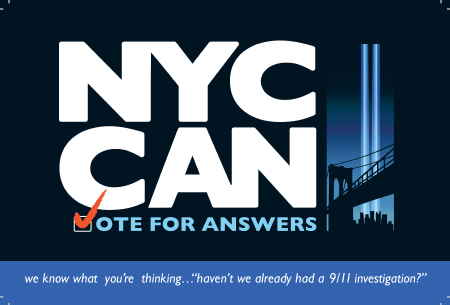 will be on the voters of New York City to stand up and vote for answers. One real chance. One real investigation.